The place to come for today's hottest horse racing tips. Welcome to #TwitterNAPs - Daily free horse racing tips from Twitters top tipsters. The tips below have this months top tipsters at the top so you can see the guys in form! Scroll down to see this months league table. Follow us on twitter @bet_share to get the latest horse racing tips and results. £1 on the 3 above will return £108.00 if they come in. £1 on the 3 above will return £975.00 if they come in. *New customers only. No deposit required. 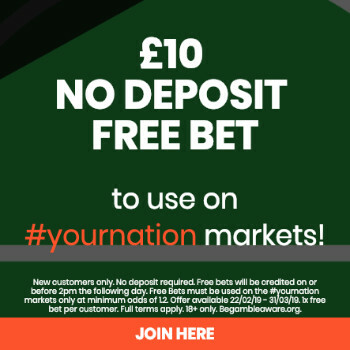 Free Bets must be used on the #yournation markets only at minimum odds of 1.2. Offer available 22/02/19 - 07/03/19. 1x free bet per customer. Full terms apply. 18+ only. Begambleaware.org. £1 on the 3 above will return £268.26 if they come in. £1 on the 3 above will return £2145.00 if they come in. £1 on the 3 above will return £4389.00 if they come in. - IWAC - (in with a chance) a horse at at least 5/1 that looks a good each way or outsider bet. Tips are posted from 5pm the day before giving you a chance to get on in the evening at the early prices. By the time the races start we usually have a full house of over 50 racing tips completely free of charge. Horse racing betting can seem like a daunting idea to many but once you have a basic grasp of what it all means and how it works, it will enable you to experience the thrill of betting on horse racing. What Kind of Horse Racing Bets Can You Choose? The easiest bet to make in horse racing is to bet on the outcome of a race. This means that you simply pick a horse that you believe will win and then you place your bet. The favourite horse for the race will have the narrowest odds but those horses that have an outside chance of winning will offer better odds. However, it can be difficult to pick a winner and that is why you can also place an each-way bet. To do this, you will need to double your stake, so if you were going to bet £1 on a winner, you will need to bet £2 to bet each way. If you choose this bet then you are increasing your chance of success and so, you are placing a bet on them winning but also on them finishing higher up the pack such as in the top three. An accumulator gives you the chance to bet on a number of races at the same time. You will often see this at large races such as the Cheltenham Festival or Royal Ascot. They work in a similar way to the other two types of bets but you are simply adding more races to the mix. You can choose to pick six winners or you can add in each-way bets but the value of the amount you can win will reflect the chances of success. If a horse is given odds of 9/1 then the probability of that happening can be worked out by a simple calculation of 1/ (9+1) = 0.10 giving a 10% per cent likelihood of it happening. The odds of 1/4 would be worked out by calculating 4/ (1+4) = 0.80 which gives you a probability of 80%. What can affect the outcome of your bet? The outcome of a race can be affected by a number of factors with the main one being that your chosen horse actually competes. The aim is to not go with a gut feeling or by choosing the horse with the best name because you do need to understand a bit more about the way in which the horse has been performing. Form is considered to be one of the most crucial factors. If a horse has won every race it has competed in then it will more than likely be the favourite for the next race and will have shorter odds. However, a horse that has not been performing will have longer odds but that does not mean that it is guaranteed to finish below the top spot, it just means that the chances are greater. Following after form, the distance that a horse will have to travel can affect the outcome. There are some horses that can cope with different distances while there are others that are better over six furlongs than 12 furlongs. Understanding how the horse has performed in different races will give you an indication of whether you should bet on them or not. Conditions – The conditions can influence how a horse performs and while a horse could have a very good winning streak, all of those wins might have come under good conditions. If the ground is soft then it could mean that the horse performs differently. How much research do you usually do for your 3 racing tips? It can vary, my first port of call is always to check my online notebooks. I will then look at the cards without the prices. Depending on the quality of the cards and amount of racing on, i can spend anywhere from 10 mins to a several hours looking for what in my opinion are good bets at the price. How do you find the winner when its the first run of each horse? Again, first i check my notebooks for anything i have in to look out for on debut or have been reported to have been working well. After that i will look at stats of the trainer and course in relation to their runners by age, distance etc. Then i will look at the entries they hold and pedigree before finally checking the price. Where do you look for information on stats and form of the horses? I have held a Proform subscription which is a brilliant piece of software that allows you to build your own databases and find your own angles. The Racing Post members club has become difficult and slow to use since being updated (if it ain't broke don't fix it), Timeform is good but again expensive, the best free site by far is ATR. I tend to use Proform and Racing Post Members Club but its not good for my blood pressure. 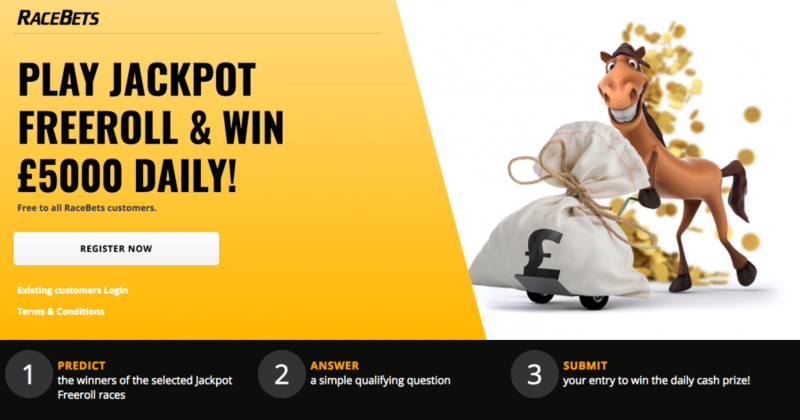 Would you use a paid horse racing tips service? Your paying for someones opinion, that's it. There are 100's of paid Tipsters on Twitter, basically why pay for someones opinion who is faceless and posts no proof of results? There are several pundits who's opinion i respect but would never pay for tips. Do you think theres a value in looking at steamers and drifters? The problem with following steamers is you tend to get 'Lemmings' who simply back something because they see it shortening. Every horse has a price and you have to access if it is in your opinion too short to back? I believe a lot of so called 'gambles' are made up by bookmakers to draw the Lemming money in. As far as drifters go i would never let that put me off although admittedly it can be disheartening to see something i have tipped much bigger in price. When this happens i often back it again, if you don't back your own opinion you may as well give up. On the nose or Each way? What is your general preference? I always back each way 5/1 or bigger or win and place market. Have a look at the race, ground etc. There may be a heavy ground horse at a huge price and there might be a deluge overnight. Could the race lose the market leaders as non runners? If they are you will be hit a rule 4 deductions but you will still be potentially ahead of the bookies. What seems to be the type of bet you get the most success from? Both from a winning point of view and profit? E.g. Single, trixie, forecast etc. Each way singles and trixies for sure. Another bet i find profitable is 5-10 selection accas for small stakes with a horse at lets say 7/1-4/1 and then add footie games to it. I will always have the horse as the first leg, if it wins you are in play and can hopefully watch your cash out build through the day, week or weekend. Are there any other horse racing markets that have caught your eye recently as showing value? What is your preferred bookie of choice and why? I use Betfair Exchange mainly and Betdaq because the prices are better and they dont penalise you when you have success. For my trixies i use the online bookies and am careful to move around every week or so. Do you ever lay, rather than placing and what are Your thoughts on essentially 'becoming the bookmaker'? I do on occasions but laying for me is small gains for big risks. If your laying i believe you need the money in the first place if you want to win decent amounts. To sum it up i think its a way to lose money quickly. Where do you get the best 'whispers' from? The course or online/mobile? To be honest i'm yet to hear a course whisper. There is a lot of info available now such as jockey and trainer blogs. You can pick up good stuff from them and a worth bookmarking. Ive also built up some trusted contacts in and around racing who's opinions i trust and respect. As far as bookie whispers go, don't believe anything a bookie tells you or there whispers, they are most likely talking nonsense!